We eat a lot of vegetarian foods in our house. I’d say 2-3 times a week we enjoy a vegetarian meal. 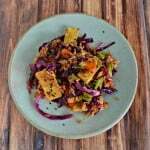 One of our favorites is tofu. We like it baked, fried, and even grilled. 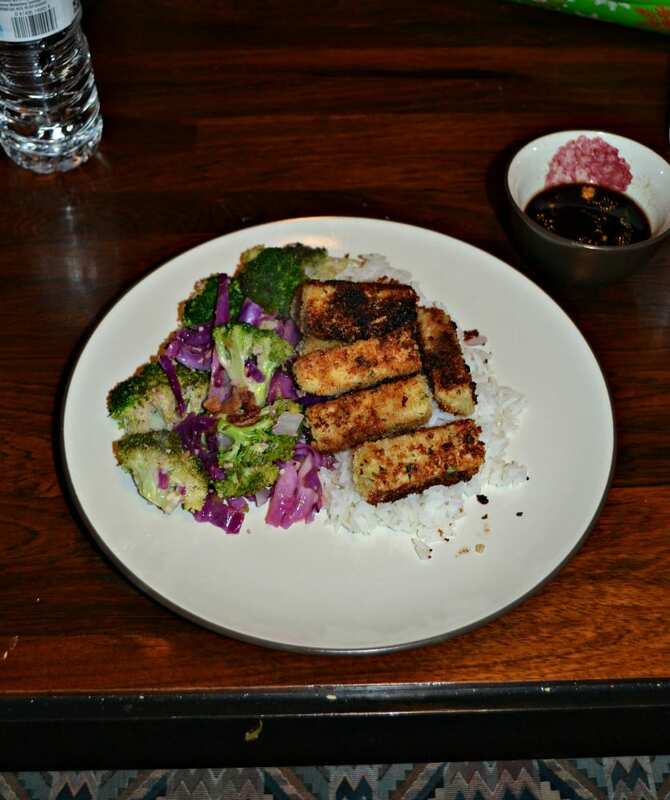 The only problem with having tofu is that it’s hard to come up with a side dish. Every time I look at different vegetables it just seems like I’m going to have vegetable overload. 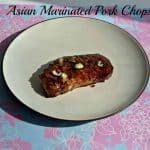 So when I found a recipe that combines vegetables and bacon and has an Asian flare to it I was ready to try it. 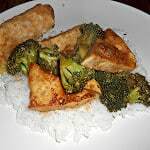 I’d say 75% of the tofu dishes I make are Asian so it was perfect for pairing with those. 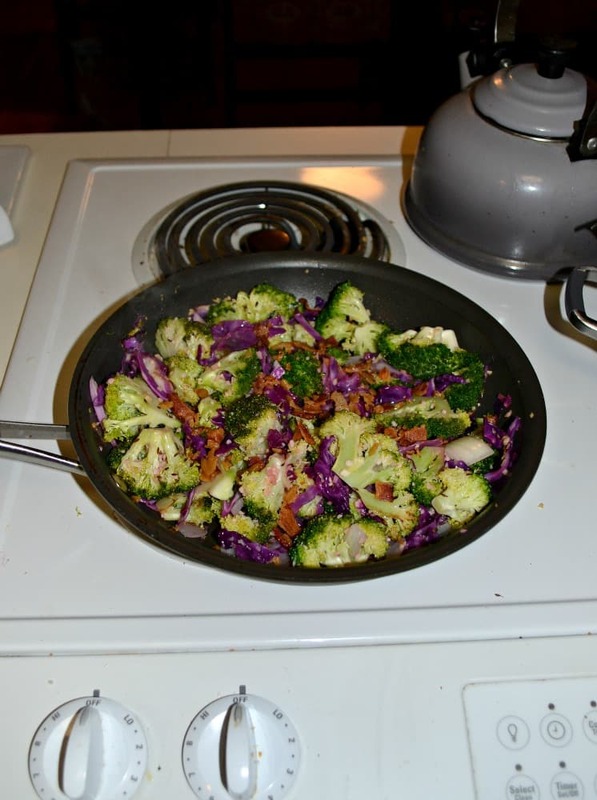 The recipe was easy and just combined bacon with broccoli, cabbage, and onions. 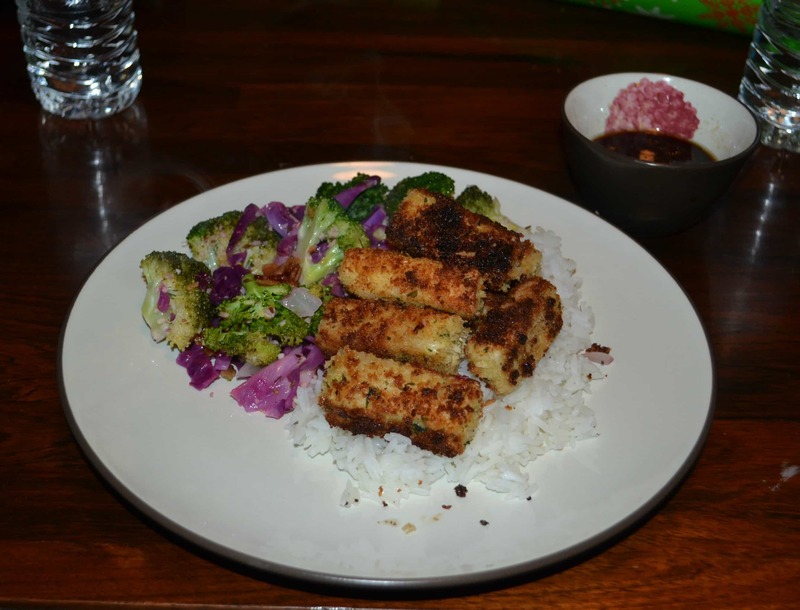 It had a simple flavor and wasn’t doused in soy sauce like many Asian style vegetables. It was only flavored with rice vinegar. The result was a lightly flavored vegetable dish that was a little salty from the bacon which made it just perfect. It went great with the tofu and rice. A delicious combination of broccoli, cabbage, onions, and bacon. Cook the bacon for 3-4 minutes per side or until it is browned. Remove and place on paper towels to drain. Add the broccoli to the pan with the bacon drippings and cook for 5 minutes over medium high heat, stirring occasionally. Add in the cabbage, onions, and garlic. Cook for 2 minutes, stirring frequently. Reduce heat to medium and cook for 3-4 minutes or until broccoli is tender. Stir in the caraway seeds and cook for 1 minute. Remove from heat and stir in rice vinegar, lemon juice, pepper, and bacon.